Abandon learning, and you will be free from trouble and distress. A former elementary principal (Davis) and elementary teacher (Willson) conducted a one year qualitative study of the effects on teachers transitioning from one standardized test to another. The context for this study was in Texas at the elementary and middle school levels. Twelve current practitioners were each interviewed at least twice about their perceptions and actions regarding both the transition and the culture of teaching before and after this change. It may come as no surprise to many, but what the researchers found is that what is tested is what is taught. This pressure comes not only from the state government and their visible methods for assessing schools, but also from the school administrators who feel the need to document the status of the school at specific benchmark dates. In fact, one school required every class to hold out their reader response booklets so the principal could quickly assess if all students annotated their prescribed reading passages correctly. The researchers found that “contextual features of classroom and campus experience impact how individuals respond to accountability pressures above and beyond the impact of their beliefs about literacy instruction.” In other words, the expectations teachers felt to teach to the test overrode what they knew to be true about effective reading and writing practices. This derailment of beliefs is attributed to past and current practices regarding these exams. Just because a school disavows test prep doesn’t mean it will negate the past. There can be a residual effect on a school long afterward. “Any useful technology that’s successfully adopted by a culture won’t be abandoned. Ever.” Seth Godin, a business and leadership writer, starts his post with this provocative statement. This is not to say that useful technology will not be replaced, “but society doesn’t go backward”. This short piece leaves lots of room for one to consider how technology has transformed a person’s place of work or even how we live. For those who are wistful for days gone by, it might be wise to read this post and gain perspective. The author of It’s Complicated: The Social Lives of Networked Teens chimes in on a debate around the inquiry of how much teens are hooked on screens. Boyd puts the blame of adolescents glued to their smart phones directly on parenting habits and how protective families have become regarding their children. We’ve locked them indoors because we see the physical world as more dangerous than ever before, even though by almost every measure, we live in the safest society to date. We put unprecedented demands on our kids, maxing them out with structured activities, homework and heavy expectations. And then we’re surprised when they’re frazzled and strung out. I’ve just started reading Kohn’s anthology of articles and posts from Heinemann, Schooling Beyond Measure. This article was included, and it is a standout. Kohn decimates any case an educator might make regarding the use of grades in schools today. He cites research that shows how grades diminish student interest in learning, reduces the quality of student thinking, and creates a situation where students aim for the easiest way to get a positive score. Kohn also offers suggestions for teachers who still have to submit grades, such as allowing the student to determine their own grades. The common thread that runs through these texts is shared beliefs. Our beliefs, which include our mindsets, biases, limited perspectives, known facts, and emotions, serve as a lens for how we see the world. They are like train tracks, guiding a person or group to a preferred destination. Having firm beliefs can be very powerful, especially when those same beliefs are shared with others. Shared beliefs can bring an organization together around a common cause that will benefit those served by that organization. For example, our school has twelve shared beliefs that we’ve all agree upon regarding literacy. Credit goes to the Regie Routman in Residence professional development program for our success in reading and writing. Unfortunately, shared beliefs can also be developed for the wrong reasons. People’s emotions and predilections are too often manipulated in the name of an ulterior motive. Some politicians can be exceptionally crafty in this area. For example, Right-to-Work was recently passed in Wisconsin, despite the facts that this policy reduces worker safety, reduces wages, doesn’t improve employment conditions, and was originated by a white supremacist who didn’t want his white employees to have to work alongside others of a different race. (Source: The New York Times Magazine) Beliefs too often trump the facts. It is in these situations where we know we are on the wrong path, but aren’t sure how to change direction. So what is a solution? 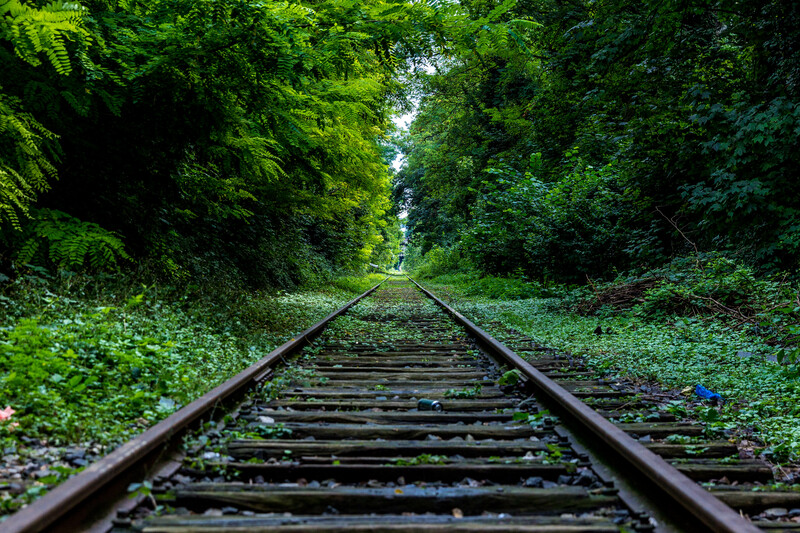 How do we guide the train in a new direction when it is so firmly attached to the tracks? I believe one of the best ways to change is through examining our beliefs from time to time within a learning community. It can be done privately at first, such as the students did in the last article summarized. But to make an impact, these beliefs do need to visibly surface with others and their own thinking, preferably in a structured setting that allows for respectful dialogue. It’s really the only way I can see change happening. What it takes is time, accurate information, and leaders who are willing to listen. Thinking about your school’s professional development plan? 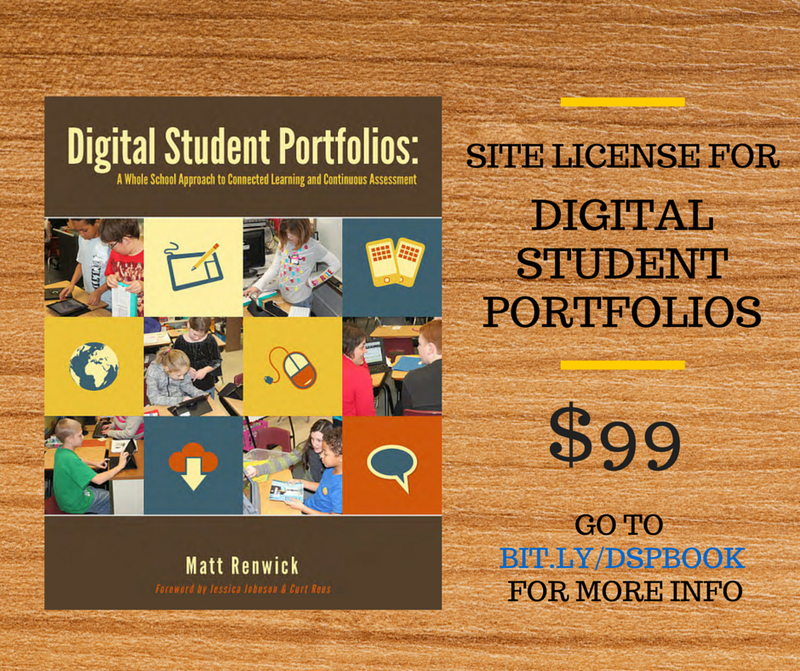 Are you looking for a focus for your grade level or department inquiry? Still searching for that textbook for a college course you are teaching on technology integration? Then consider this offer for a powerful, year long learning initiative. What is a “site license”? A site license means that a school or organization has unlimited access to an author’s content. This can be a big money saver if considering a whole staff book study. The site license would be a one time fee, no recurring subscription. What is included in this offer? Unlimited access to digital copies of my text (ePub, Kindle). A PDF version of the book for printing out and reading on paper. An original study guide with thought-provoking questions and links to powerful learning activities. Access to our Google+ Community on digital portfolios for students, to host asynchronous discussions and to connect with over 400 other educators with similar interests. What is the author’s background? Please fill out the form below to register. If you have questions, please include them in the form. Join me at 7 P.M. CST on July 8, 2015 for a one hour webinar on how educators can use Evernote (www.evernote.com) in their personal and professional lives.